I upgraded on the day iOS 7 was released to the general public. I debated waiting and letting the first round of bugs get fixed but the curiousity won out. I knew of the big features but wanted to try them out. I also wanted to discover all the little improvements that I knew would be there though I didn't know what they would be. Control Center - Pictured here, this is by far the best feature. The convenient access to wifi and bluetooth settings, the do-not-disturb feature, the brightness setting, the LED flashlight, the calculator app, and the camera are more beneficial than you can imagine. You'll find yourself opening the Control Center a lot. "Unlimited" Folders - Folders can now hold a seemingly unlimited number of applications, whereas before iOS 7, you were limited to what could fit on a single screen (16 on an iPhone 5). The downside of this feature is that you can only see 9 apps on a screen, even on the iPad. Training for Siri - Siri can now be trained to pronounce the names of your contact. I discovered this by accident when I asked Siri to text someone whose name wasn't pronounced phonetically like it was spelled. Siri asked me how she should pronounce it and gave me several options. Siri-read Emails - Yes, Siri can read your emails now. Automatic App Updates - In the iTunes & App Store settings, you can turn on automatic updating of apps, meaning that your apps stay up-to-date without you having to do anything. You can still go into the App Store to see what was updated and read the release notes. One Address & Search Bar in Safari - The same field is used for typing the web address (URL) in Safari that is used to do a search via Google (or Yahoo or Bing). There are many more features than what I mentioned: iTunes Radio, dynamic wallpaper, AirDrop, camera filters, etc. These are just some that I've found the most helpful. 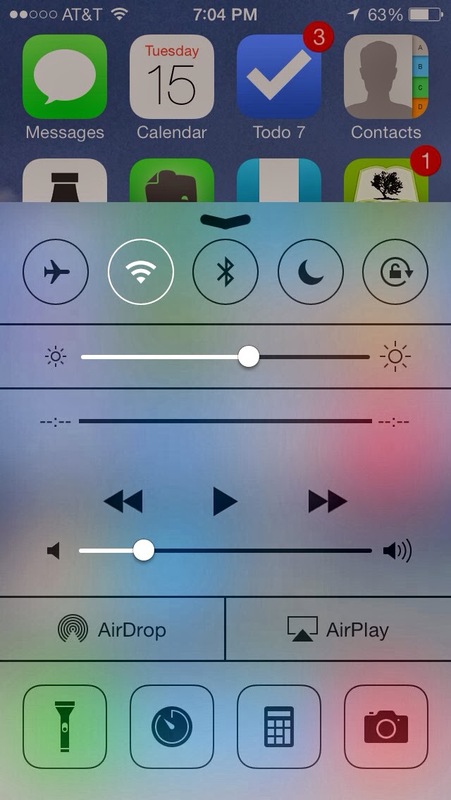 What are your favorite features in iOS 7?